So someone in your leadership decided it would be a good idea to start live streaming your church services. The problem is, you don’t know where to start. Don’t worry. I had the same thing happen to me, although the person with the bright idea to live stream our church service was me, and I survived the ordeal even though I didn’t know the first thing about live streaming a church service. So let me share with you the things I learned about how to live stream a church service. It isn’t that hard to live stream your worship services. Although there are a few steps, you need to take beyond what most people do when they turn on their smartphone and log into Facebook live. Although smartphones are easy to use to live stream, their video quality, and audio quality leave a lot to be desired. If you are going to live stream a church service, you need something that will do a little bit better job than a smartphone on a tripod. A video camera or camcorder with a clean HDMI video feed output. An external microphone or a connection to your church sound system. An adequate computer to use to stream the video feed to the internet. A video editing and streaming software program. I have already done some extensive articles on live streaming camcorders for church services. I recommend that if you need a camera for your live streaming that you read them. Suffice it to say that you need a camcorder with a clean HDMI output and an HDMI to USB converter to connect your camera to your computer. The microphone that is part of your camcorder probably won’t be good enough to record your services correctly. You will need either an external microphone or a connection between your church sound system and your computer that you are using for live streaming. This will probably be your most significant ongoing cost in live streaming your church. You are going to have to step into the modern world and have a good internet connection at the church. A 3G or 4G internet connection from a smartphone won’t cut it. The best case scenario would be if you had a dedicated internet connection but you can get away with a good DSL or Cable modem connection as long as there are not too many people using the connection simultaneously. There are also a couple of options available to you that are specifically for churches. However, they are not free. You will also need a few live streaming accessories that are not always obvious like tripods, cables, etc. Ok, now that you have all your live streaming equipment and services set up it is time to set up for your first live stream. I have done an article on where to position your cameras. I recommend that you read that article. However, if you are using one camera, then the best place to position your camera is in the back of the room and at the center point between the two sides. This will give you the greatest flexibility when live streaming. 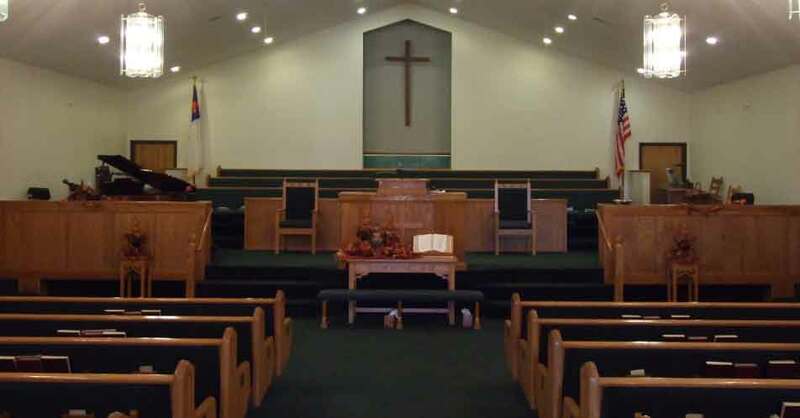 If possible, you will want to position your computer in the back near the camera or near the church sound system. This will cut down on the cabling needed to connect the equipment. Start from the camera and work your way towards the computer system. Connect the external microphone to the camcorder. Connect the camcorder to the HDMI to USB converter or capture card. Connect the HDMI to USB converter to the computer you are going to use for live streaming. Connect the church sound system to the computer if you are not using an external microphone. Connect your computer to your internet access. Open your live streaming software. Connect your live streaming software to your live streaming service or Facebook live, YouTube, or Google Hangouts. Have you started live streaming your church services? Protect your church by getting a church video streaming license in one easy step.